U.S. News and World Report has released it's annual rankings of the Best Colleges and Universities in the country. Philadelphia has long been a hot bed for higher education and several area schools performed well in the listings. For 2014 they ranked nearby Princeton University as the #1 National University with Harvard University as #2. U.S. News split schools into different categories. National Universities offer a full range of undergraduate majors, plus master's and Ph.D. programs, and emphasize faculty research. Liberal Arts Universities focus almost exclusively on undergraduate education and award at least 50 percent of their degrees in the arts and sciences. Regional Universities offer a broad scope of undergraduate degrees and some master's degree programs but few, if any, doctoral programs. 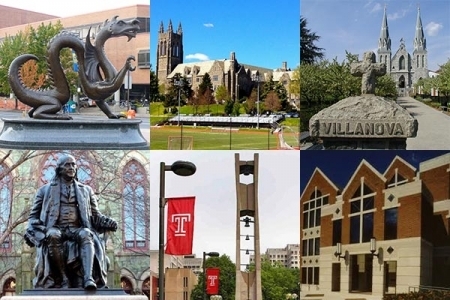 Here are the rankings of Philadelphia area colleges and universities on US News and World Reports various lists.